Justice Ajit Prakash Sha started his innings as the Chairman of the Law Commission of India filing the landmark report on Electoral Disqualifications. Law Commission of India filed its 244th report recommending landmark reforms on Indian Election laws. 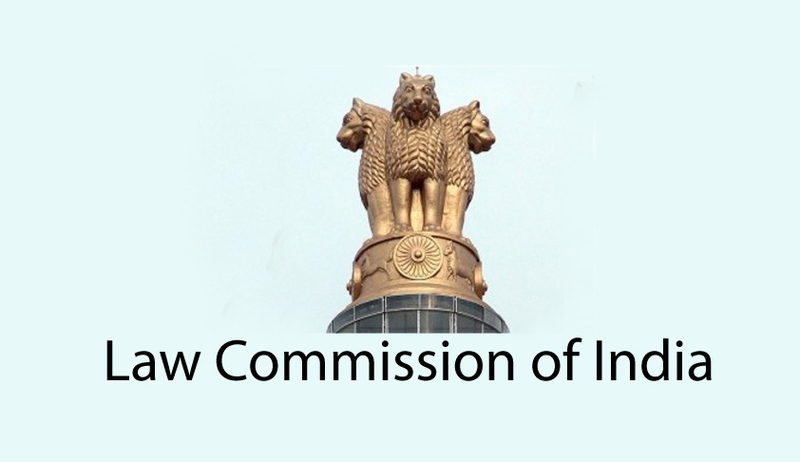 The Ministry of Law and Justice, Government of India had addressed a letter dated 16th January, 2013 requesting the Twentieth Law Commission to consider the issue of ‘Electoral Reforms’ in its entirety and suggest comprehensive measures for changes in the law. The matter was accordingly adjourned for three months within which period the Law Commission was expected to submit its response on the aforesaid two issues to the Government of India to be forwarded to the Hon’ble Court. It is in these circumstances the commission filed this report before the Supreme Court. Live Law Report here. I. Whether disqualification should be triggered upon conviction as it exists today or upon framing of charges by the court or upon the presentation of the report by the Investigating Officer under Section 173 of the Code of Criminal Procedure? 1. Disqualification upon conviction has proved to be incapable of curbing the growing criminalisation of politics, owing to long delays in trials and rare convictions. The law needs to evolve to pose an effective deterrence, and to prevent subversion of the process of justice. 2. The filing of the police report under Section 173 Cr.PC is not an appropriate stage to introduce electoral disqualifications owing to the lack of sufficient application of judicial mind at this stage. 3. The stage of framing of charges is based on adequate levels of judicial scrutiny, and disqualification at the stage of charging, if accompanied by substantial attendant legal safeguards to prevent misuse, has significant potential in curbing the spread of criminalization of politics. i. Only offences which have a maximum punishment of five years or above ought to be included within the remit of this provision. ii. Charges filed up to one year before the date of scrutiny of nominations for an election will not lead to disqualification. - The MP/ MLA’s right to vote in the House as a member, remuneration and other perquisites attaching to their office shall be suspended at the expiry of the one-year period. 5. Disqualification in the above manner must apply retroactively as well. Persons with charges pending (punishable by 5 years or more) on the date of the law coming into effect must be disqualified from contesting future elections, unless such charges are framed less than one year before the date of scrutiny of nomination papers for elections or the person is a sitting MP/MLA at the time of enactment of the Act. Such disqualification must take place irrespective of when the charge was framed. ii. Include conviction under Section 125A as a ground of disqualification under Section 8(1) of the RPA. iii. Include the offence of filing false affidavit as a corrupt practice under S. 123 of the RPA. “8B. Disqualification on framing of charge for certain offences. - (1) A person against whom a charge has been framed by a competent court for an offence punishable by at least five years imprisonment shall be disqualified from the date of framing the charge for a period of six years, or till the date of quashing of charge or acquittal, whichever is earlier. (3) For Members of Parliament, State Legislative Assembly or Legislative Council covered by clause (ii) of sub-section (2), they shall be disqualified at the expiry of one year from the date of framing of charge or date of election, whichever is later, unless they have been acquitted in the said period or the relevant charge against them has been quashed. OR (3) For Members of Parliament, State Legislative Assembly or Legislative Council covered by clause (ii) of sub-section (2), their right to vote in the House as a member, remuneration and other perquisites attaching to their office, shall be suspended at the expiry of one year from the date of framing of charge or date of election, whichever is later, unless they have been acquitted in the said period or the relevant charge against them has been quashed. (4) Any disqualification/ suspension under sub-section (3) shall operate till the dissolution of the House, or for Members of the Rajya Sabha or State Legislative Council, up to the end of their present term as Member. (a)…(i) section 125 (offence of promoting enmity between classes in connection with the election) or section 125A (penalty for filing false affidavit, etc.) or section 135 (offence of removal of ballot papers from polling stations) or section 135A (offence of booth capturing) of clause (a) of sub-section (2) of section 136 (offence of fraudulently defacing or fraudulently destroying any nomination paper) of this Act. (1)…(4A) failure by a candidate to furnish information relating to sub-section (1) of section 33A, or giving of false information which he knows or has reason to believe to the false, or concealment of any information in the nomination paper delivered under subsection (1) of section 33 or in the affidavit delivered under sub-section (2) of section 33A”.